The ruins of this formidable fort of the rulers of Kangra are located on a strategic height, overlooking the Ban Ganga and Manjhi rivers. The historic fort of kangra was built by Bhuma Chand the founder of the Katoch Dynasty. There are two Hindu temples within the fort’s compound; one dedicated to Ambika Devi (a local deity) and the other to Laxminarayan. A Jain temple is also present with the stone image of Adinath. 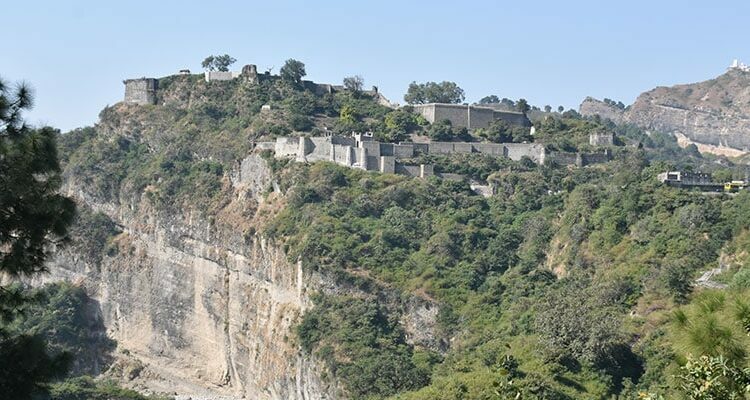 The history of this fort is synonymous with Kangra town. The town belonged to him who owned the fort. 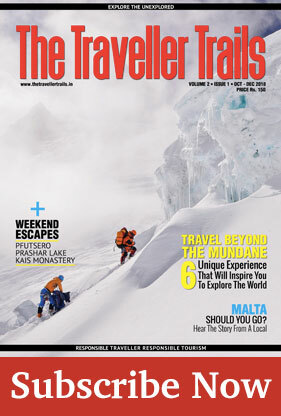 The most attractive part of this Fort is inside the Darshani Darwaza. This gate is one of the oldest standing structures. It opens up to a large stone-paved courtyard surrounded by various chambers. This fort had been the centre of attraction for the rulers of Northern India. Since Long Time the first attack on the fort was made by Raja of Kashmir, Shreshta in A.D.470. In 1009 Muhammad Gazni Looted the Kangra Fort. He Carried with him 7 Lakh gold Coins, 28 tonne utensils mode of Gold and Silver and 8 tonnes of Diamond and Pearls. In 1337 Muhammad Tughlaq and in 1357 Feroze Shah captured the Kangra Fort. In 1540 the fort was captured by Khan Jahan a commander of Sher Shah Suri. In 1620 Jehangir occupied the Kangra Fort and came to see it in 1622. In 1781 it came under the control of Jassa Singh Kanhaya. In 1786 Maharaja Sansar Chand took control of the fort. 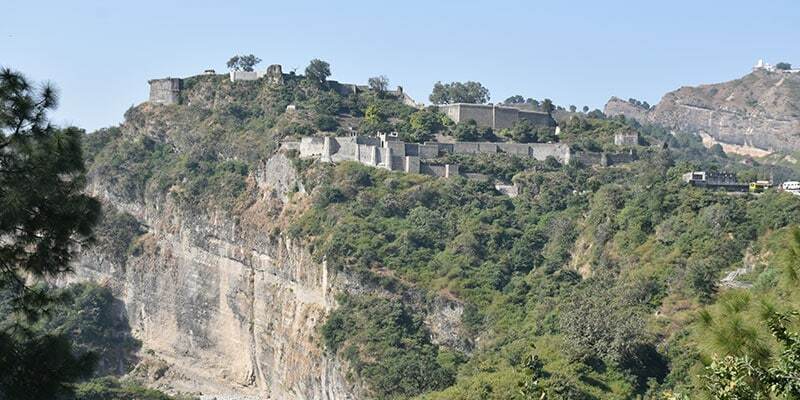 In 1846 the Kangra Fort fell into the hands of the British. The Fort is located on the Banks of the River Ban Ganga. Inside the Fort are two ponds one of them is called Kapoor Sagar. At prsent the fort is under the control of the Archaeological Survey of India. It was badly damaged in the 1905 earthquake. Location: 20 kms from Dharamshala. 3 km from Kangra. Visiting Hours: 9 AM TO 7 PM. Tuesday closed.